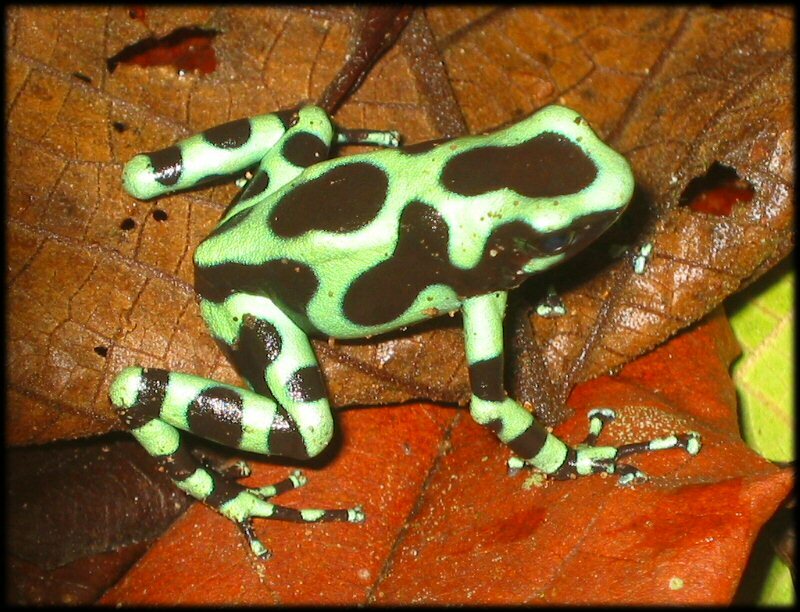 This animal, as you can see, is called a green poison dart frog. 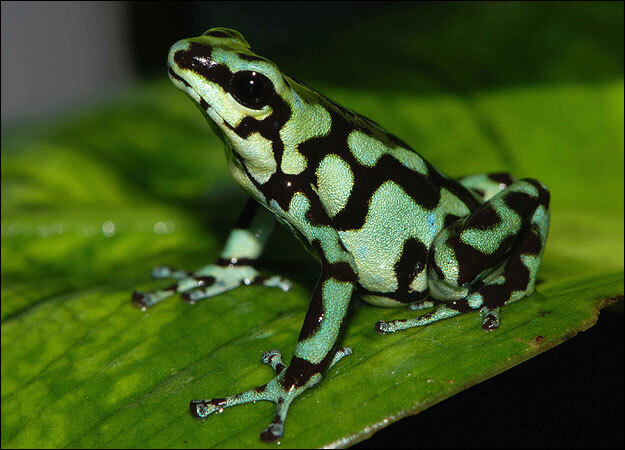 These little frogs have one habit that is unusual among amphibians – the females take the lead in mating. 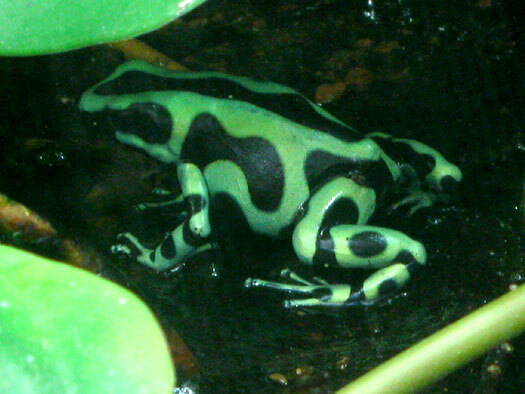 She calls the male to mate by beating him on the back with her hind feet. People have introduced them to Hawaii where they have done really well. In highly populated areas, they sometimes leave their eggs in bottles or discarded cans.